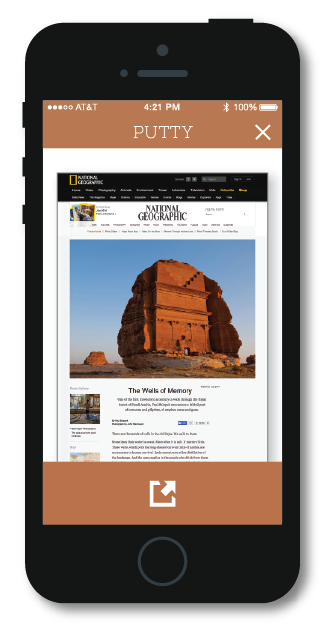 Introducing a simplified way to share articles from your favorite magazines and newspapers. Just take a photo from anywhere in the article, and Putty will find the online version within seconds. Quickly share articles in a couple clicks with friends and family. Share via message, email, Facebook or Twitter. Here are some of the publications Putty supports, and the list keeps growing!